Manchester United boss José Mourinho earlier in this week revealed to newsmen that he has no intention of signing any attacker in the summer due to enough striking force which includes Ibrahimovic, Romelu Lukaku, Anthony Martial, Marcus Rashford and Jesse Lingard. Former Manchester United captain Wayne Rooney has agreed with José Mourinho’s plan of not getting any striker in the summer. The Everton player admits it will be difficult for a new striker to get much first-team action in Mourinho’s current squad. 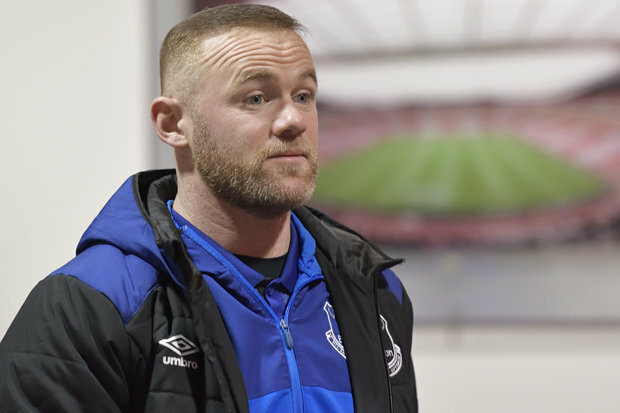 “So I don’t think there’s room for any more strikers to come in and not play, ” Wayne Rooney told Newsmen. Rooney who moved to the Goodison Park at the beginning of the season from Manchester United told reporters that the Portuguese manager has no reason to bring another forward to Old Trafford as there are top quality strikers including Alexis Sanchez and Romelu Lukaku. Wayne Rooney also told reporters that José Mourinho is a coach who loves to play the players he bought during transfer markets therefore it’s certain that Romelu Lukaku and Alexis Sanchez— whom the Portuguese bought from Everton and Arsenal respectively— are going to feature regularly as long as they are in-form and injury-free. “I think with Jose Mourinho, when he buys a player, he plays them,” Rooney admitted. The former England’s captain said he’s is confident that Lukaku and Alexis Sanchez will develop an understanding between themselves and they will score plenty goals for the Red Devils. “So they will play and they will score goals,” he said. The 29-year-old forward was an unused substitute in Everton’s 5-1 defeat to Arsenal onSaturday. He will hope to return to action on Saturday against Crystal Palace.